Joe has lived in Martin County since 1988 when he became the band director at South Fork High School and remained there for 12 years. After that, he was an administrator for the past 17 year at Dizzy Gillespie Charter School, Crystal Lake Elementary, Spectrum, Transportation, and currently at Anderson Middle School. He attended University of Florida, Troy State (AL), Georgia Southern, and Florida Atlantic receiving Bachelor’s, Master’s, and Ed Leadership certification. Joe and his wife of 37 years raised two sons who now live in Stuart and Orlando. Austin Gregory Moody (Greg), Vice President Greg was born in Kentucky in 1957 and was raised in Nashville, Tennessee. After graduating from Memphis State University of Law and receiving his Tennessee license to practice law in 1982, he joined the VA Regional Counsel in Nashville. In 1998, he and his family moved to Stuart, Florida and he worked as the hospital attorney at the VA Hospital in West Palm Beach. On January 2, 2014, he retired after 32 years of service as a government attorney for the VA Regional Counsel. Greg is married to Sharon Moody and they have two adult children and one grandchild. Greg previously served as a board member for the US Courthouse Credit Union in Nashville, Tennessee from 1996 to 1998. He has traveled to Peru as a team member on 11 medical mission campaigns for Latin American Missions from 2005 to the present and is scheduled to participate in the latest medical mission campaign in the Peruvian Amazon (Nauta, Peru) in June 2017. Lisa is a Registered Nurse and has been employed by Martin County Healthy Start Coalition since 2007. As the Prenatal Outreach Coordinator for Healthy Start she facilitated the success of the Prenatal Outreach Center by getting over 1700 Martin County women insurance and prenatal care. It’s her goal to learn and access all of the resources in Martin County for those who need assistance. She is married and has 3 wonderful children. Alicia was born and raised in Peru, where she received her Bachelor of Arts in Translations from Ricardo Palma University. She moved to New York 24 years ago, where she worked for the South Huntington School District for eleven years. With the school district, she was responsible for translations and began working in the social work field. Alicia moved to Florida 11 years ago with her two children, Kenneth and Julissa, and began working at the Port Salerno Elementary Family Learning Center. In April of 2006 she became a Whole Child Advisor and was the Senior Whole Child Advisor for 9 years. As Senior Whole Child Advisor, Alicia was responsible for maintaining the Whole Child Connection System, providing support to providers and advisors, conducting presentations to Martin County families, and managing client service requests. Alicia worked for the Coalition of Independent Living Options as a Program Specialist for the Treasure Coast. Alicia served for 3 years in the Head Start Policy Council, 5 years in the Family Selection Committee for Habitat for Humanity and currently serving as a board member for Character Counts! and also volunteers as a translator for different non-form profits in Martin County and teaches Sunday school at her church. Alicia current works at SeaWind Elementary School as a Parent Liaison. Alicia lives in Martin County with her daughter and her husband and loves serving as a Board member for Children’s Emergency Resources. Jennifer Bracken has been a resident of Martin County since 1981. She is an RN and a Nationally Certified School Health Nurse who has worked for the Martin County Health Department since 1997. She currently provides school health services to Jensen Beach High School and Stuart Middle School. In the past she also worked in the Comprehensive School Health Program serving students at South Fork High School, acted as the Health Services Manager for the Martin County School District Head Start Program and as a medical/surgical nurse at Shands Hospital. She received her BS in Nursing from the University of Florida and her Masters of Public Health from the University of South Florida. Jennifer lives in Stuart with her husband and their twin daughters. Laura was born and raised in Michigan and obtained her nursing degree from Delta College. She moved to Stuart in 1981 and worked at Martin Memorial Hospital for 20 years. Since 2005 she has worked for the Florida Department of Health in Martin County and is currently the School Health Program Nursing Supervisor. Laura has enjoyed volunteering on the Children’s Emergency Resources Board since 2005. She knows the positive impact this small organization makes in meeting the health needs of the children in our community. Laura is the proud parent of 2 adult children. Sheila has been a Martin County resident since 1982, moving from Indian River County. As a Registered Nurse, she has worked at Martin Memorial on the progressive care unit, then moving to the home health area where she served as both a field nurse and a supervisor. She has also worked at the Challenger School serving the disabled children of the county. She is currently working with the Martin County School District as the Health Services Manager for the Head Start Program. Willie has lived in Martin County since 2006 and has over 30 years in education. He was an administrator in Pinellas County where he previously resided and continued his career with the Martin county School District where he is currently the Assistant Principal at Hobe Sound Elementary School. He attended Florida Agricultural & Mechanical University, receiving a Bachelor’s Degree in Education and Nova Southeastern University where he received a Master’s in Educational Leadership. Willie and his wife Connie of 30 years reared two wonderful sons, Devin and Willie III, who live in Stuart and Orlando, Florida, respectively. Larry Green Larry was born in Chelsea, Massachusetts. He graduated from Trenton State College in New Jersey in 1978 and began his teaching career at Port Salerno Elementary. Larry spent the next 17 years teaching physical education and fourth grade. In 1995, SeaWind Elementary opened its doors and Larry became the school’s first Assistant Principal. He made two moves as Assistant Principal. The first came to Crystal Lake Elementary in 1998, while the next came in 2001 to Port Salerno Elementary. He served as principal of SeaWind Elementary from 2006-2011 and Pinewood Elementary from 2011-2016. Larry retired from the Martin County School District in 2016 after 38 years of service. 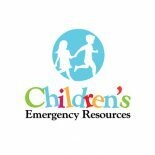 Larry joined Children’s Emergency Resources, Inc. in 2017. Debra was born in Brooklyn, NY and raised in Indiantown and Stuart, FL. After graduating from South Fork High School, she obtained a Bachelor of Arts degree from the Florida State University and a Master’s degree from Nova Southeastern University. Debra has been a Martin County resident since 1984. Currently, she works as a Martin County School District Administrator and is the Title I Coordinator. Debra lives in Stuart with her husband Tony, 3 children under the age of 12, a dog, a cat, and a guinea pig. Debra is looking forward to working with the CER board to serve this beautiful and increasingly diverse community we all call home.